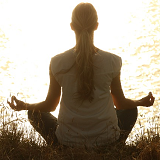 Meditating has tremendous positive effects on your body and mind. It will help you be calmer and more in control of your emotions, and will also improve your focus. You can sit in any position you like, as long as your spine is straight. It is important to be comfortable, as physical discomfort will distract your mind. Pick either your nostrils, chest, or gut to focus on. Feel your breath as it passes in and out of your chosen area. Tell yourself, “in” and “out” as you breathe. If your mind begins to wander, gently redirect it back to your breathing. The first time you meditate, aim to meditate for at least five minutes. If you practice every day, you will soon be able to work your way up to 10 minutes, then 15 minutes, and so on.